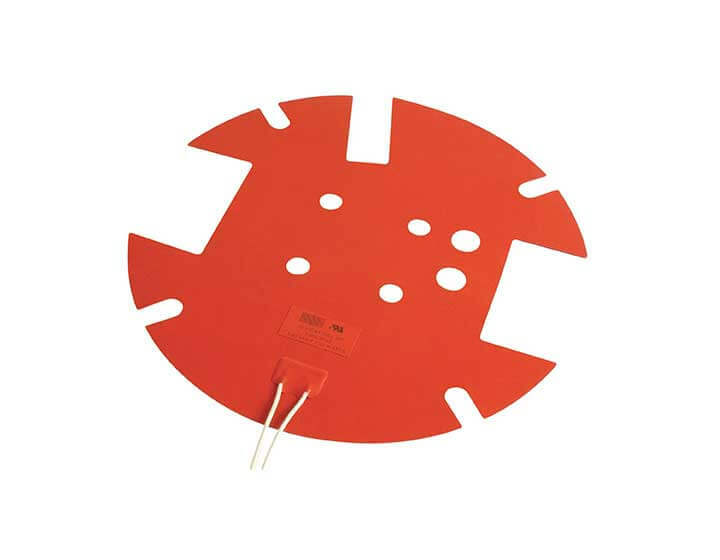 All holes, cutouts, and notches are located per your specifications and fit your exact design requirements. Mechanical fasteners can be used for heating applications on cylindrical parts or where the installation is temporary. Spring fasteners allow for variations in circumference while providing close contact with the part to be heated. Typical fasteners include: Eyelets, shoe hooks, grommets, springs, kevlar lace, buttons, D-rings, belts, hook and loop (Velcro™) fasteners. 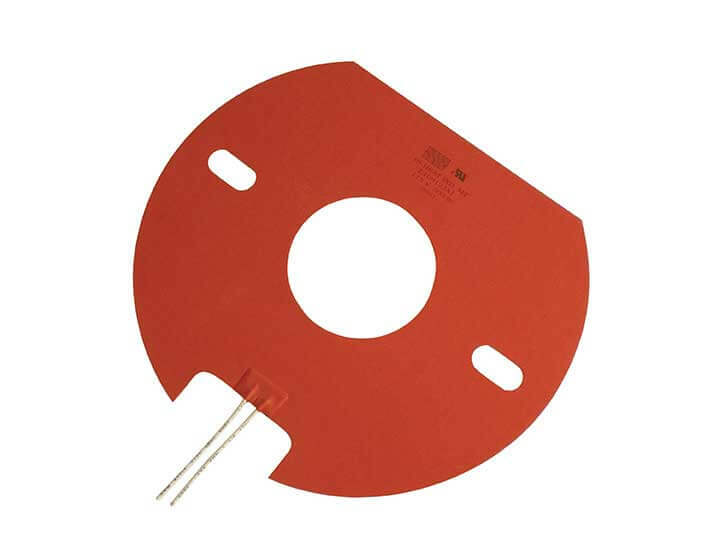 Standard leads for heating elements are flexible silicone rubber insulated, UL Style 3135, and rated for 200°C/600 volt operation. 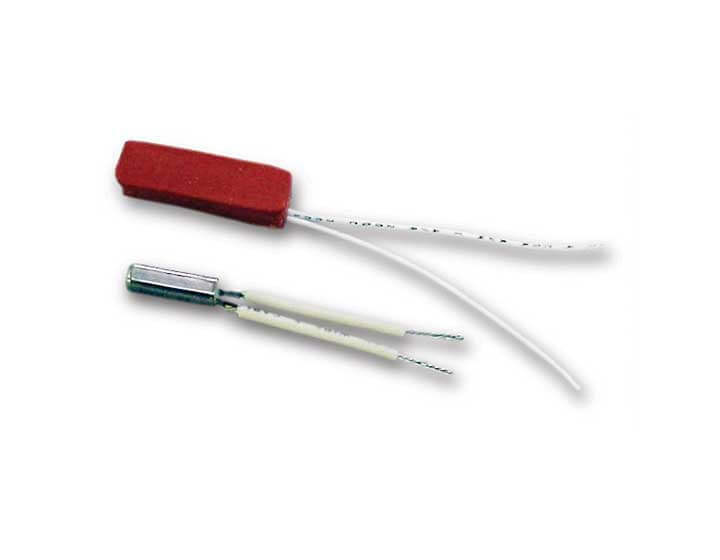 Electrical wire lead types and exit locations are adaptable to application requirements. Silicone rubber can be bonded to metal parts to create complete thermal sub-assemblies. 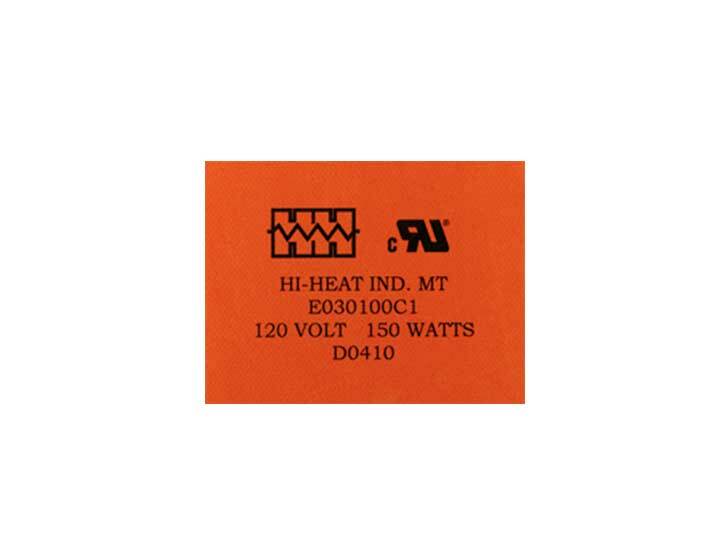 Since a perfect fit between heater and your component is a vital factor in heater efficiency, we can factory bond or vulcanize the heater to the part in our factory, and thus assure optimum contact. 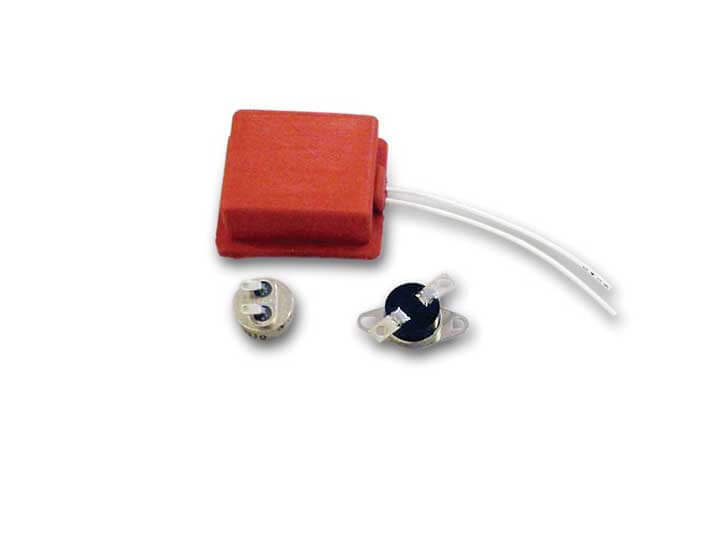 The maximum service temperature of this high temp silicone pressure sensitive adhesive (PSA) is 500°F (260°C). Bond strength is improved if a dwell time of 12 hours is observed before heater operation. For lower temperature applications we utilize acrylic pressure sensitive adhesive (PSA) that is rated 250°F (121°C). Bond strength is improved if a dwell time of 12 hours is observed before operation. We also have other adhesive options available, contact us for your application specific requirements. 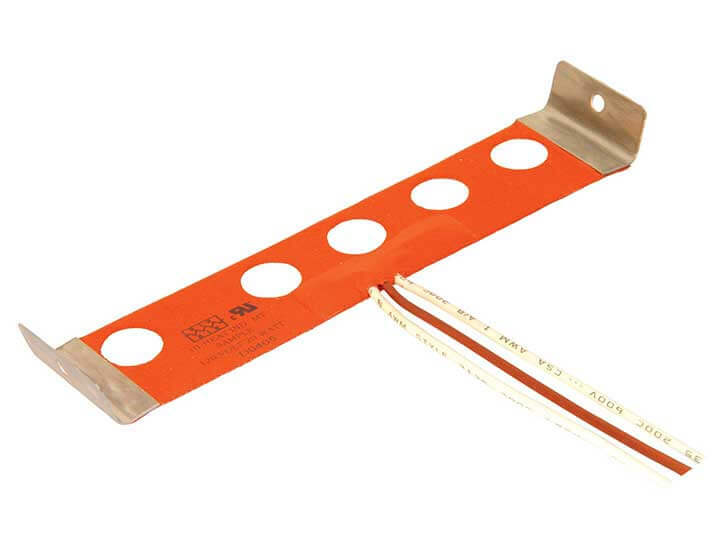 Room temperature vulcanizing (RTV) silicone rubber adhesive can also be used when bonding heaters in the field. 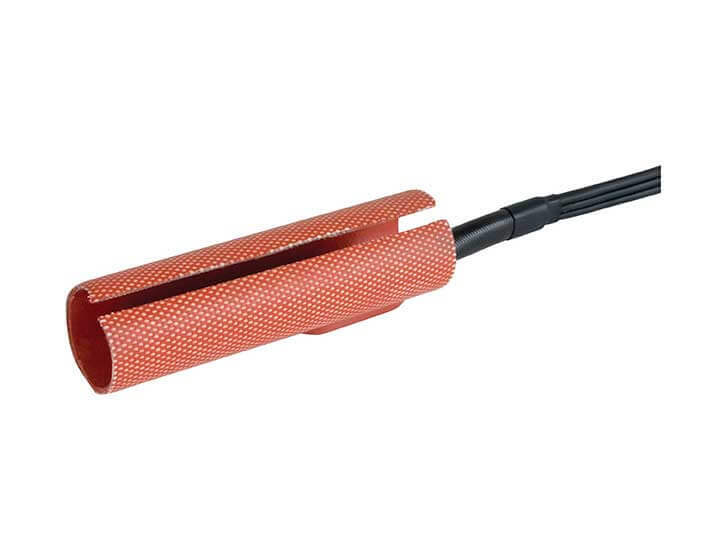 Heaters can be bonded to your parts at our factory, or we will supply recommendations for proper application. Due to the energy required to snap the disk over center, the temperature differential between on and off is 20° to 30°F. When used as a high limit over 300°F this differential can be as large as 75°F. Maximum temperature for high limit is 500°F. The wide differential does not provide narrow band temperature control but also does not generate any radio frequency interference due to the positive make/break action. The most common use for these units is freeze protection and enclosure control with a setting of On at 40°F / Off at 60°F. These units must be covered with an overmold that is bonded to the heater. We also have other adhesive options available. Contact us today for your free quote or ask us a question.